As the tax deadline nears, residents of some states are bearing the brunt of it more than others. 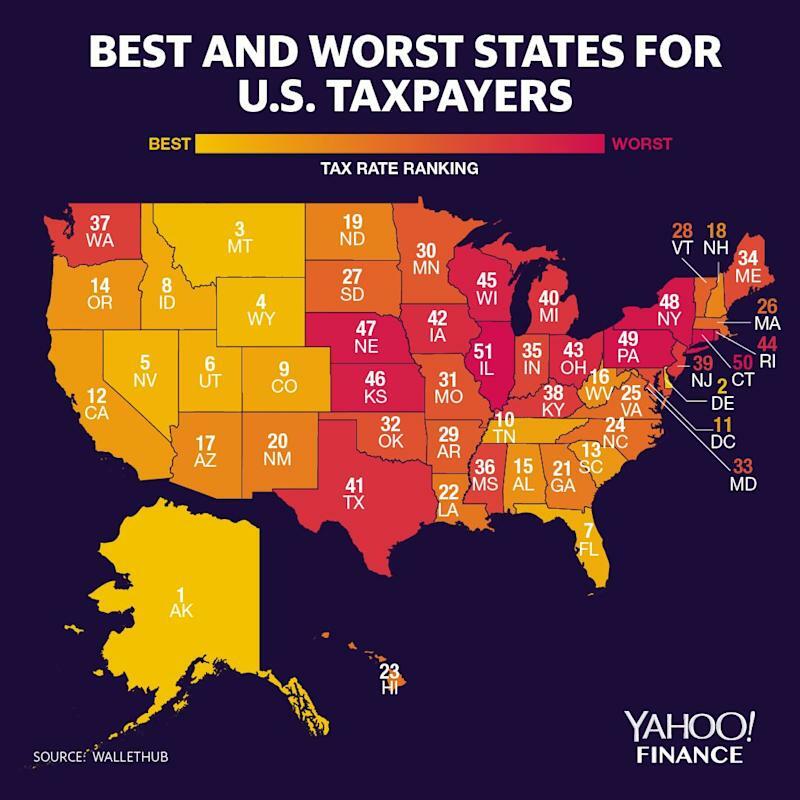 Alaska, Delaware, Montana, Wyoming, and Nevada are the best five states in the U.S. when it comes to taxes, according to an analysis by WalletHub, while Illinois, Connecticut, Pennsylvania, New York, and Nebraska are the worst. A 2018 study by Kiplinger placed Alaska, Wyoming, and Nevada in its top five states for taxpayers, with Illinois and New York in the bottom five. Being a homeowner in New Jersey isn’t cheap at all — in fact, NJ residents see the highest effective real-estate tax (otherwise known as property tax) rate in the country, at 8.13%. Trailing behind are Illinois (7.71%), New Hampshire (7.33%), Connecticut (6.89%), and Wisconsin (6.47%). WalletHub calculated these rates by dividing the effective median real estate tax in that state to the median income. Gas also taxes play a role. 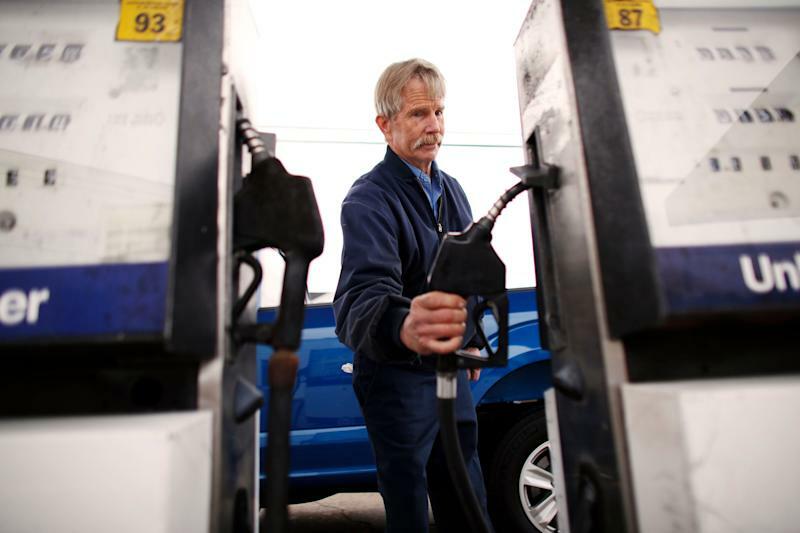 Alaska pays the lowest per gallon, followed by Missouri, Mississippi, New Mexico, and Arizona. Pennsylvania pays the highest amount, with coastal states California, Washington, Hawaii, and New York not far behind. Sales and excise tax (also known as consumption tax) rates vary across the country, as well. Oregon, Montana, New Hampshire, Delaware, and Alaska are all well below 2%. However, Washington and South Dakota’s rates are significantly higher at 8.65%. Louisiana, Texas, and Arkansas are also above 6%. Follow Yahoo Finance on Twitter, Facebook, Instagram, Flipboard, SmartNews, LinkedIn, YouTube, and reddit.